WASHINGTON, D.C. — Former Florida Gov. 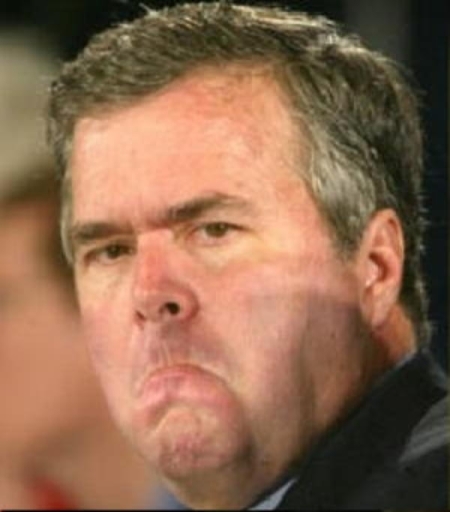 Jeb Bush is seen as a likely Republican presidential candidate in 2016, but his unflinching commitment to the Common Core standards experiment is souring many GOP voters on his campaign even before it officially begins. Turning off potential supporters is a risk Bush seems willing to take. During his recent speech to the National Press Club, Bush berated Common Core critics — many of whom are conservative Republicans who will vote in the presidential primaries — for being “comfortable with mediocrity” in K-12 education. “Meanwhile, back at the ranch, we have huge swaths of the next generation of Americans that can’t calculate math. They can’t read. Their expectations in their own lives are way too low. And we’re not going to be able to sustain this extraordinarily exceptional country unless we challenge every basic assumption on how we do things,” Bush said. None of his arguments impressed conservative author and columnist Michelle Malkin, who refutes many of Bush’s talking points in her latest column. Malkin cites several highly respected scholars who have given the thumbs down to the new Common Core math and English standards, and debunks the notion that states adopted the standards without federal coercion. The former governor’s foundation is also linked to “Pearson, the multi-billion-dollar educational publishing and testing conglomerate” that “snagged $23 million in contracts to design the first wave of PARCC test items,” Malkin writes. She concludes by urging readers to “follow the money” trail that exists between Bush and the companies who stand to profit from Common Core. As blistering as Malkin’s criticism is, it’s only a foretaste of what Bush can expect, if and when he formally announces his presidential aspirations.